Hi Poppytalk readers! Long time no see. Sorry for the long break – I had a baby! He’s five weeks old now and he’s as cute as can be. 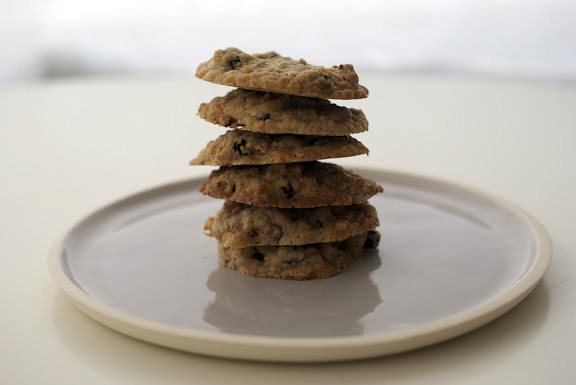 I’ve finally had the urge to bake again so here is a nice and simple cookie recipe that has a bit of an “Autumn” vibe…. 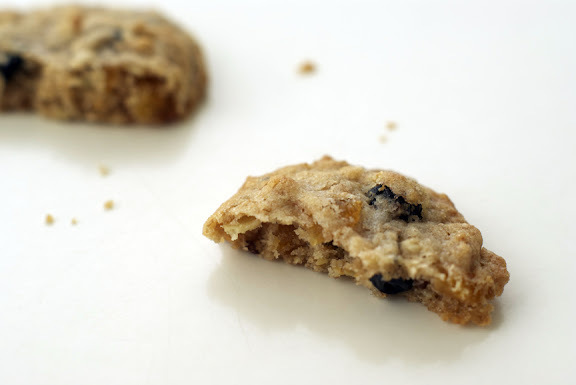 I thought about calling this cookie the “fruit and fibre” cookie – dried fruit with both spelt flour and oats! But that had too much of an early 90s old lady prune juice sound to it. 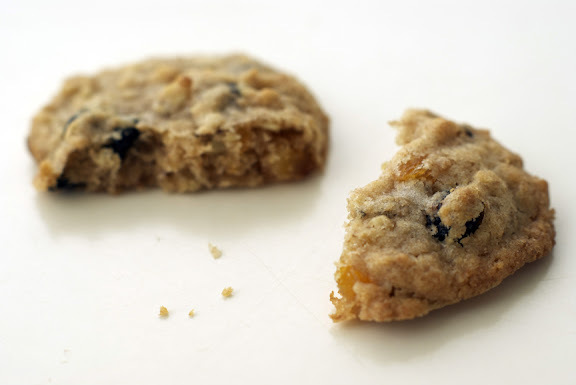 Doesn’t Dried Blueberry and Apricot Oatmeal cookies sound a bit fancier? Preheat oven to 350 degrees. Cover two baking sheets with parchment paper (if so desired). In a medium bowl, sift the dry ingredients to combine. Fold in dried fruit with a spatula, or just throw ‘er in to mixer and mix. Using a small ice cream scoop or your clean bare hands, dole out 2 inch balls onto parchment-paper covered baking sheets, a dozen per sheet. Bake at 350 degrees for 11-14 minutes, depending on how hot your oven gets! Turn the pans once halfway through. Leave to cool on baking sheets to crisp. Snack on them and enjoy! !